To hear James Gunn tell it, Ant-Man is about to close out Marvel’s third phase of films with a big bang. 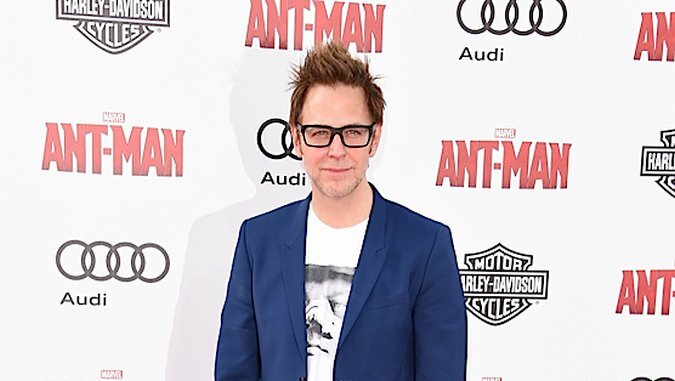 The man behind the much-beloved Guardians of the Galaxy showed up at last weekend’s Ant-Man premiere, where he took in the film and “left the theater incredibly happy.” Gunn took to Facebook to share his impressions, gushing at length and even hailing the flick as his “favorite Marvel film since Jon Favreau’s Iron Man.” Gunn’s post also includes a photo of the director with Ant-Man’s David Dastmalchian at the premiere after-party. “Honestly, the movie is a complete blast!” Gunn writes. “I was so happy after seeing it. It’s never boring for a second and it’s hilarious and warm throughout.” Come to think of it, Gunn’s take on the “deft and nimble and joyous” Ant-Man sounds an awful lot like a description of Guardians of the Galaxy, which is a promising sign. Gunn isn’t the first Marvel alum to rave about Ant-Man—The Avengers director Joss Whedonpraised the film’s script to the skies back in April: “I thought [it] was not only the best script that Marvel had ever had, but the most Marvel script I’d read.” One imagines that these guys know what they’re talking about. Ant-Man brings small adventure to big screens everywhere on July 17. You can read Gunn’s thoughts on the film in full here.